As the second most popular social media platform, after Facebook, Instagram isn’t only used for personal accounts anymore. 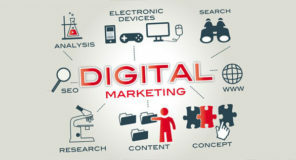 With over 600 million active monthly users, it has became a hugely popular channel for businesses to raise brand awareness and reach new customers, clients and affiliates. However, with this many users in mind, it’s important to make your content stand out. The following tips will help you do this and start reaping the profits in no time! The first (and most important) thing is getting the content right. 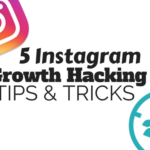 Great quality content is key to marketing your business successfully on Instagram. Creating content specifically for Instagram is hugely important, as this platform has a much greater focus on the photo or video, rather than the text, which other platforms may place a greater focus on. A high quality camera is ideal, perfect for creating great image and video content. 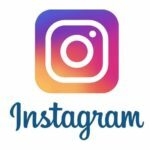 Your brand needs to look as appealing as possible, so focus on clear, well lit images as this is the number one rule for succeeding on Instagram. Sticking with one branded theme is essential, as people will be more comfortable with your brand once they recognise it, and it will grow faster when there is better recognition and recall. Being an active participant on the platform will help you reach a wider audience. Steps to doing this are following other brands, people and influencers, along with engaging in the comment sections of your posts and others. By commenting on other brands or followers posts, their followers will be able to see you and will be intrigued to engage with you as well. Hashtags and trending topics are other great things to get engaged with. Following the trends and posting specific content for holidays, national days and other heavily talked about topics will help followers to relate to your brand and allow you to grow organically. You can even create your own campaign hashtags, so your fans and prospective customers can follow these as well as your profile. As Instagram isn’t primarily a platform for business, it is great to incorporate posts that aren’t completely product or service focused. 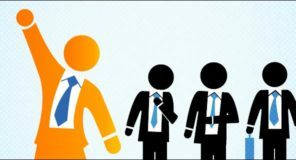 These other posts can be business ‘behind-the-scenes’, lifestyle, staff profiles or company milestones. People love to get to know their favourite brands and how they are run, as it helps them connect with them on a deeper level. By doing this you are building a stable community for your brand as they love that you feature content on real people. Emojis are also one to be used, but they must be used correctly. Everyone loves emojis, so much so, RoseSlots.com have built an entire online slot game on it, Emoji Planet. This online slot uses emojis to display the most important and popular emotions, engaging players with cryptic simulations that leave you reeling in an endless euphoria of fun. Emojis are used a visual representations of emotions, objects and symbols and these can really add to your Instagram marketing. They can make your brand appear more fun, relatable and exciting. By switching your account to a business profile, you can unlock some great features to help promote your business. These extras include the ability to promote your posts, access account insights and adding a call to action button for your page visitors e.g. call or email. Promoting your posts can let you reach highly targeted audiences, which will be a winning factor for your brand. 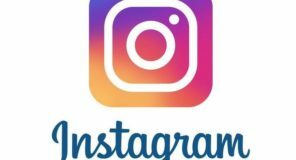 Many people are also surprised to know that Instagram has a lot of the same tracking capabilities that Facebook has. Business accounts can view everything from link clicks, to leads to conversions and the cost per result on very campaign that you run. These results can be broken down by gender, age, region, device etc, so you can always see how many results you have achieved and at what cost, which will help with measuring the objectives and goals you have set. Harnessing the power of influencers is another great way to market your business on Instagram. These influencers have incredible power when promoting products, as their followers see them as credible, trustworthy and reliable as they infuse the human element in their posts. Using influencers as a marketing tactic is a popular and effective method to reach large audiences and increase brand awareness. It’s important not to just jump into using any influencer, you need to find the time to find influencers that match your brand and the specific target audience you are trying to reach. Working with influencers to come up with creative ways to market your business on Instagram can really push your sales to a new level. This method also doesn’t need to be costly, as most micro-influencers charge around $250 for a post. With all the relevant leads generated from this, it works out as a relatively inexpensive way to market your business. To find influencers that could work for you, this blog shows the ultimate list of Instagram influencers in every industry. To keep your followers engaged and wanting more, you can offer exclusivity to those on Instagram. Keeping people interested is an essential part of any marketing campaign. Let your followers be the first to know about new products, services or events that your business has to offer. You can create teasers, photos or videos that build anticipation or curiosity for your new releases, and followers will feel rewarded with this exclusive content. 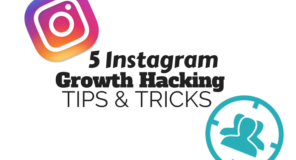 As people remember 80% of what they see, compared to 20% of what they read and 10% of what they hear, marketing on Instagram is a great way to grow your business. By following the above tips, you can grow your account and this will lead to greater revenue and business success. Post high quality content regularly, stay engaged with your followers and track your progress by using the previously mentioned analytics tools. 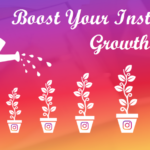 Start building your account now, as like success doesn’t come overnight, a strong Instagram prominence doesn’t either – but once you have grown it there will be no looking back!